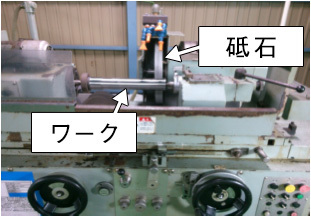 Applications | TOA Grinding Wheel Manufacturing Co.,LTD. Spring Grinding on cars and motor cycles. 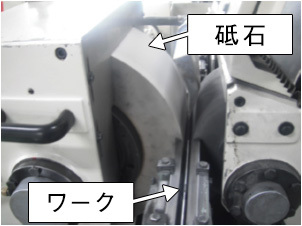 MG grinding wheel having high grinding power with low heat generation and SRG grinding wheel having high grinding efficiency are used for grinding both ends of a spring.Delivery reports show more than half numbers of Japanese spring manufacturers and we are proud of the shear over 60%. 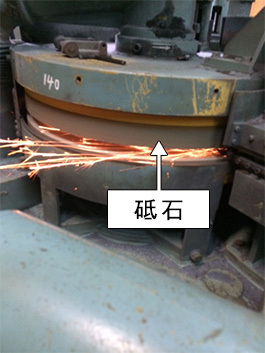 From rough grinding to finishing grinding, centerless grinding are applicable to workpieces such as shaft,pin,and pipe.etc. It is used in grinding finish from construction equipment for shaft and of various roll roughness.